Welcome to my resources page, a curated list of the best tools I’ve used to develop my confidence and see more dating success. I have personal experience with every recommendation on this page. These products made me more charismatic, social, and helped build a thriving business I’m passionate about. Please note that the links below are affiliate links. I will earn a commission if you decide to make a purchase at no additional cost to you. I’m sharing these tools because I’ve found them incredibly useful in my own life and not for the small commissions I make if you buy something. Only spend money on these if you feel you need them and they could help you achieve your goals. 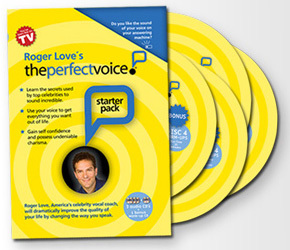 The Perfect Voice Audio System by Roger Love: Learn to speak in a confident, attractive way from the world’s top vocal coach. Read my full review here. Daring Greatly by Dr. Brene Brown: The definitive book on vulnerability, overcoming shame, and learning to be genuinely confident. Her TED talk is amazing. Don’t Sweat the Small Stuff by Dr. Richard Carlson: A practical how-to on managing the daily stresses of life. How to Win Friends and Influence People by Dale Carnegie: The required read for developing your social skills in life. The Charisma Myth by Olivia Fox Cabane: How to inspire and captivate people. She breaks down the science behind charismatic eye contact and strong body language. Tons of applicable exercises. Intimate Communion by David Deida: A guide to embracing your sexuality as a man and taking charge. Teaches you to create powerful, mutually-fufilling sexual relationships. No More Mr. Nice Guy by Dr. Robert Glover: A must read for overcoming nice guy syndrome. Learn to assert yourself, set your boundaries, and show your intentions. The Definitive Book of Body Language by Allan and Barbara Pease: A full break down of body language signals and what they mean. The Four Agreements by Don Miguel Ruiz: Four simple rules for happiness in life.